Our 3 locations in Las Vegas, Reno & Henderson offer a variety of different cannabis drinks for our customers. Come by or contact us our knowledgeable staff to help you pick the right drink for you. 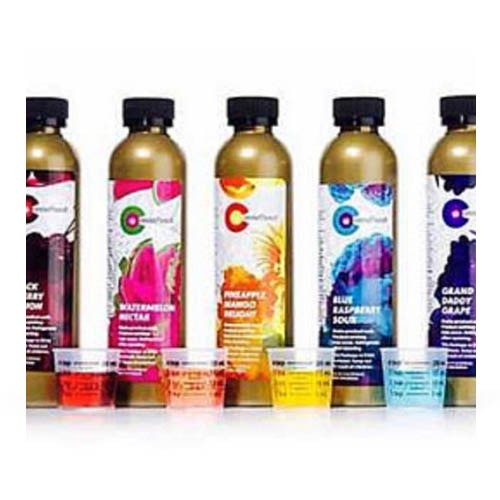 Cannabis-Infused Drinks in a Variety of Flavors! Make The Dispensary NV your number one stop for all your cannabis needs. You can browse our menu ahead of time, and even order your products online to be picked up at the location nearest you. We have three Nevada stores — Reno, Las Vegas, Henderson. A cannabis-infused drink, also known as a liquid edible or drinkable, is a drink that has been infused with cannabinoids. Studies show that cannabis-infused drinks are no more harmful to your body than a cup of coffee. It’s perfectly safe — and enjoyable — in moderation. And it can, in fact, be good for your mind and body. Pain Relief — This is a positive effect of most cannabis products, including drinks. Anxiety and Depression — Cannabis drinks can help reduce levels of stress hormones in the body and help individuals struggling with depression and other chemical imbalances, as well as those who are feeling generally overwhelmed or stressed. Blood Pressure — Cannabis drinks are known to be soothing and relaxing, and can effectively help lower blood pressure and relieve stress on the body. This is accomplished by easing the tension of blood vessels and arteries, calming down the body and lowering your risk of heart attack and stroke. Sleep Disorders — Depending on the type of marijuana used to create your drink, the cannabis can act as a sedative and is an excellent option for those suffering from insomnia or continually disrupted sleep. Weight Gain — Cannabis drinks can act as an appetite stimulant, making it an ideal option for those recovering from injury, surgery, or extended illness who may be experience lack of appetite. Those individuals undergoing chemotherapy may find cannabis drinks helpful. Digestive Health — Cannabis drinks can be soothing for the stomach, relieving inflammation in the gut, and preventing nausea and vomiting. This makes cannabis drinks beneficial for chemotherapy patients as well as people with IBS or any other chronic stomach issue. Drug and Alcohol Relapses — The compound cannabidiol has been found to have unique treatment potential of reducing alcohol and dangerous drug relapses. It is found to particularly curb cocaine cravings.